When I say FRIENDS, I mean the ones that have always been there for me. The ones I call to share good news or otherwise with. The ones that we actually make an effort to stay connected and to see each other. Even if we don't talk almost everyday, I know I can pick up the phone one day and we'll pick up right where we left off. This doesn't mean I don't care about the other friends I have in my life. I had the opportunity to see one of my dearest friends and it was great. While I enjoyed the trip so much as well as spending time and reconnecting with my friend, I think the trip gave rise to some feelings I've been nursing and trying to bury. I like to think I'm tough and I can handle anything, but it's the simple things like this that makes me all emotional and gooey inside. I miss my friends, I've always missed them and will always do, but the trip made it real for me. I've handled it like a grown up and not whine about it, but the fact always remains, I miss you girls, I really do. You know who you are. I miss finishing a conversation with see you tomorrow. I miss girls night. I miss shopping together. I miss our hearts to hearts and girl talk and all the crazy fun things we do together. But I know you're all a phone call or plane ride away. I like change, but any change that involves new places I'm usually not a big fan of. I've always been that way since I was a kid. I won't say I'm terrible at making friends but I'm not the best either. Add the fact that I'm very picky (for all the right reasons) with whom I choose to be friends with makes it even harder. That been said it's no surprise I'm yet to have a close tie with someone here, someone I can call friend. While my hubby is my best friend, I enjoy spending time with him and I can bare my heart to him, there are just somethings or ways that a girlfriend completes you. At the end of the day I can survive without girlfriends but the fact is that I need them. “Friendship is unnecessary, like philosophy, like art… It has no survival value; rather it is one of those things that give value to survival.- C.S Lewis. I need them because they are my support group outside my family, having them there and knowing they will always be there gives me a sense of security. I don't like to force friendship, I like it to happen naturally, as is the case with every single one of my friends because at the end of the day I cherish everyone I call friend. I don't have a lot of them but I sure know they are all rare and special in their own way. I hope someday, I can say I have a true friend here in New Jersey. I leave the door open for new things, new friendship, new possibilities, but keep the old ones closer. If no new one comes along, I still have the ones I have and I'm grateful for them, even if they are all hundreds and thousands of miles away. With all that said, I'm super excited to be seeing three of them in a week in Vegas. Yes, Vegas! Can't wait! If you know who your true friends are you should say it and let them know they are appreciated and not taken for granted. 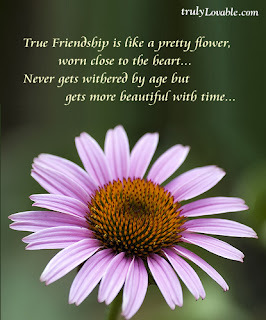 I dedicate this post to my true friends: Carole, Alice, Nanette, Dely, Kemi and Sophia. Thank you all for your friendship. Happy Friday and have a great weekend everyone. I bet your friends will love this post. Friendships are truly a blessing when they are done God's way, I am praying for my future best friend because I haven't had a chance to experience what you have just describe, but...one day. Truly believe it's a blessing. I hope you get to experience true friendship like I've had the opportunity to. It doesn't come easy but it's possible with the right person. I can relate because I'm also not the best at making friends. I've had to let go of friends in the past, for many reasons. The way you describe your friendships is very special. I can tell you definitely have an unbreakable bond with those girls. It might take time to develop friendships in your new surrounding, but it'll come at the right time. Glad, I'm not alone on this. I'm starting to realize it might take a while to connect with someone and develop a friendship here.